Ralph Raymond H. — It would have been worth the trip alone to have played such outstanding music in the company of such phenomenal musicians and conductors. The magnificent scenery, the available outdoor activities (including go-carting and paragliding! ), the food, and the gained friendships added to the musical experience and made the week spent in Schladming one of the greatest times of my life. WAWOP was an amazing experience for me and my wife. As an amateur enthusiast, this was a special moment for me to play with many professional and semi-professional musicians. Even though my lips were swelled up after 5 to 6 hours rehearsal each day, I enjoyed every minute playing under many awesome conductors. As for my wife, she does not play any instrument. But there are so many fun activities for both of us after the rehearsal. We went to many beautiful mountain trails and water falls, played tennis, did small town shopping, took a glacier tour, and then we took a 3 day trip to Vienna by train after WAWOP. The activity and quality of the event is worth every Euro we spent. We definitely will come back again next year and we would also encourage our 2 kids to join WYWOP as well. This would be an unforgettable family vacation!! Rehearsing and performing with both professional and advanced amateur musicians from around the world, under the direction of an outstanding staff of conductors, in a stunningly beautiful setting made WAWOP 2017 an unparalleled experience. Memories and friends were made that will last a lifetime. WAWOP was the most fun I have had as a musician in many, many years and has inspired me to look for new musical challenges in the coming months. The level of musicianship, talented conductors, enthusiastic audiences, comradery, and beautiful surroundings combined for a week I will never forget. Two months later I am still humming the pieces that we played and looking at photos from Schladming. The last week has been one of the richest musical and personal experiences of my life. The warmth, beauty, and spirit of Austria, the quality, joy, and challenge in the music-making, the depth of the music community in attendance, and the enthusiasm and commitment surrounding the wind band/orchestra bringing so many people and cultures together created a memorable growth-filled week. Thank you for creating all of this so as to allow so many of us to continue to enrich and grow our souls and minds to better serve the music we conduct and students we teach. Can’t wait to do it again. It was exciting to be part of the very first WAWOP, and turned out to be a terrific musical experience! Playing challenging music with so many different top-flight conductors was very stimulating and really kept us all on our toes. 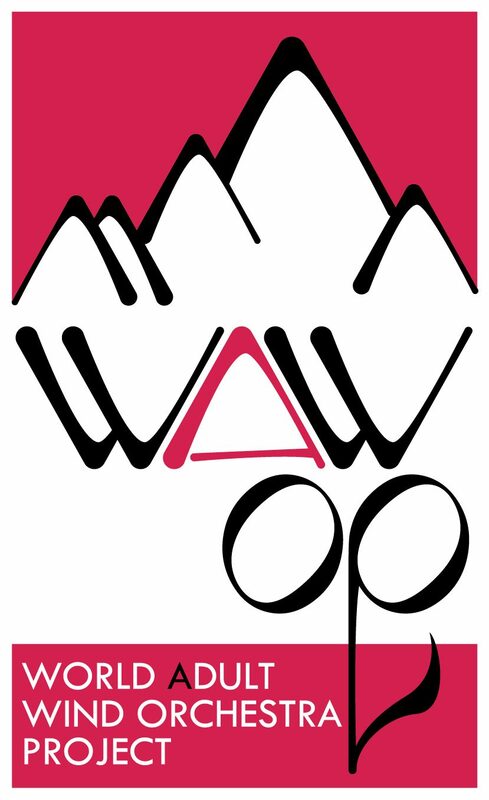 I was amazed at the quality of the musicians who signed up for this inaugural event, and I’m sure the word will spread so that each year WAWOP will attract quality players. Everything was so well organized and the accommodations were great. Getting to play two very different concerts in one week was really fun, and while the rehearsal schedule was exhausting—in a good way—there still seemed to be plenty of time to enjoy the quaint little town of Schladming and the Alpine setting. The tattoo was thrilling—hearing bands from all over the world—even better than Drum Corps International. An amazing week all around! WAWOP is music camp for adults. It is FUN! Yes, there are a more than a couple hours of rehearsal, but that’s why you are there. Playing well with great musicians and conductors is fun…and then there are meals together; excursions to mountain tops for stunning views, hikes, and beer; evening hang outs at the bar with beer; watching excellent music festival performances with beer, did I mention beer? It is good and plentiful. You will be well fed and entertained in this world class musical endeavor.